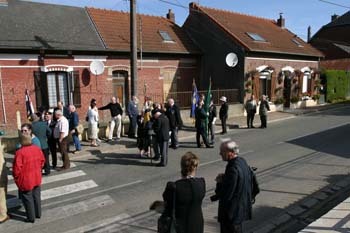 The Parade of the Combined Irish Regiments Association on Saturday September 9th to commemorate the 90th anniversary of the liberation of Guillemont by soldiers of the 16th (Irish) Division in September 1916. 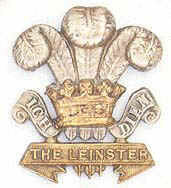 Representatives of the Leinster Regiment Association took part in the parade. Click an image to enlarge it. The image will below the 'film strip' Move through the film strip using the small arrows at each end. The remembrance dedication to the soldiers of the 16th Irish Division who fell in the Battle of the Somme. The statue is blessed prior to going on display in the Church. The veterans prior to marching off parade.